TORONTO, October 26, 2018 – One million dollars has a catchy ring to it, doesn’t it? It’s not just the cost of Dr. Evil’s average ransom. Now it’s the cost to Canadian companies of the average audit, a data point of particular interest to audit committees. 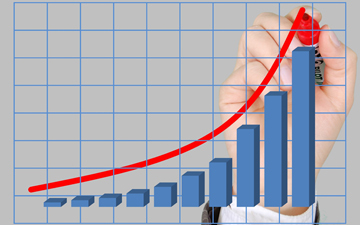 According to a study by Audit Analytics, a data research firm based in the U.S., total audit costs filed through SEDAR by Canadian issuers crossed the magic million-dollar milestone in 2017. 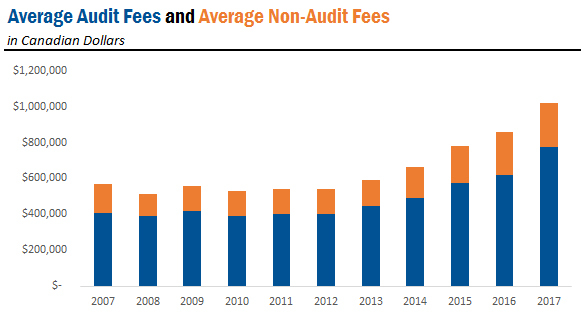 The company analyzed the filings of 2,479 issuers over an 11-year period and found that, after the recession doldrums of 2008 to 2012, the total cost of an audit has been on the increase since 2013. Audit Analytics examined trends in audit fees and non-audit fees for Candian issuers that filed with SEDAR, including dual-listed companies that file with both SEDAR and EDGAR. Non-audit fees were calculated as the sum of audit-related fees, tax fees and all other fees. Based on disclosures, these could include regulatory commitments; information technology consulting; training and other advisory services; reviewing regulatory compliance and commitments; and due diligence associated with M&A transactions. In a 2014 study, Audit Analytics found that different industries tend to have different benchmarks in their audit fees, as regulation, complexity and other factors differ one industry from the next. 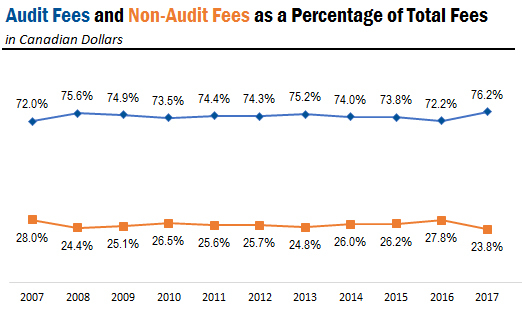 Financial services (banks, wealth management, and insurance companies) had the highest average audit fees (over $1 million) while the hospitality industry had the lowest (under $200,000). By Canadian Accountant staff with files from Audit Analytics, which tracks audit fees, auditor changes, controls, and restatements for Canadian issuers. For an online demonstration or to learn more about these data sets, email Audit Analytics or call (508) 476-7007.